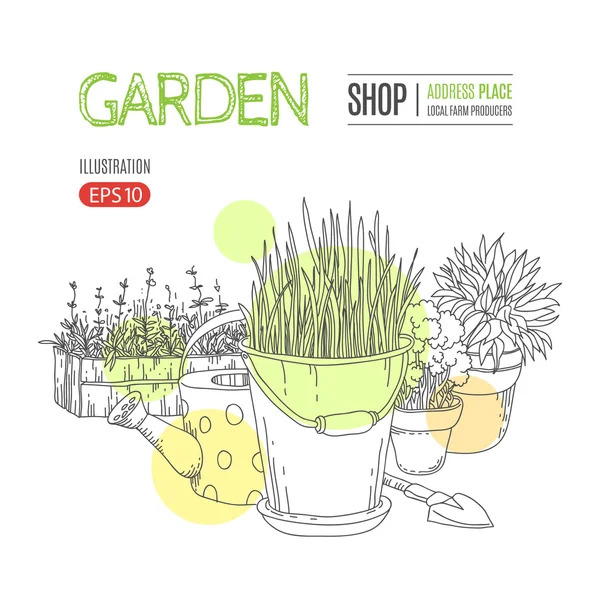 Template with potted plants and garden tools. Perfect design for farm market advertising, farming industry, bio product business. Business identity for bio products and agricultural industry.